Australian conditions and a low environmental impact. 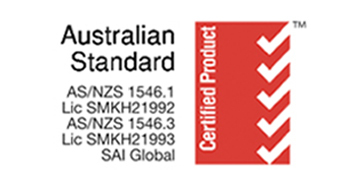 FujiClean systems utilise advanced Japanese technology and have been designed specifically for Australian homes. Japanese engineered wastewater treatment systems suitable for a variety of applications. 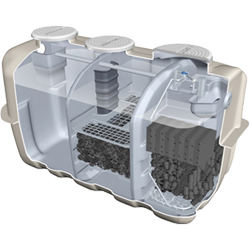 Most reliable and energy efficient air blower in the wastewater industry. 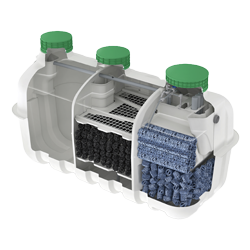 Benefits of choosing a FujiClean System. 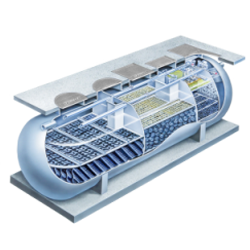 Lightweight single tank design reduces transport and installation costs. Once installed it has minimal visible components. 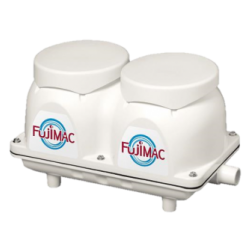 FujiClean have over 60 years’ experience developing wastewater treatment technology. FujiClean has system approval in all states of Australia and exceeds current testing parameters for treated water quality. No moving internal parts and energy efficient electrical components result in low running costs. Extended service life with minimal environmental impact plus the ability to reuse recycled water for garden and lawn irrigation. No Noise and No Odour. The quality treatment process (effectively handles shock loading) is designed to offer peace of mind to the homeowner. 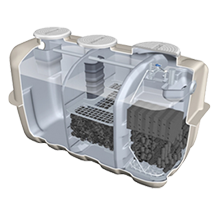 Complete treatment process is contained inside tank with alarm monitor protection against system failure. Systems produce high quality treated effluent minimising health risks. 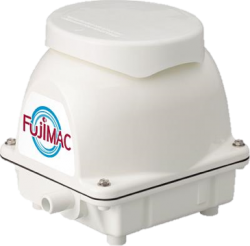 FujiClean develops onsite wastewater treatment technology and is a world leading manufacturer of domestic and commercial sewage treatment systems. The FujiClean CE-1500EX is designed for Australian Conditions and manufactured in South-East QLD. As our most popular system the CE-1500EX is constantly praised for its treated effluent quality and reliability. FujiClean is supported by a national distributor network who have chosen FujiClean as their preferred supplier due to product quality and the company’s commitment to product performance.